A Masterpiece in every sense of the word. Vivid & extraordinary characters, an ever expanding plot, hypnotising narration, awesome dialogues… Pacing-up. Mafia. Guns. Murders. Love. Family. Society. Crime. Anti-Society. Values. Life. Death. The Godfather is a perfect embodiment of life. And may I dare say—a full display of Buddha’s law of cause & effect! I can’t critically analyse this legend. I won’t even try. Instead, I’ll just add to the endless praise of this flawless piece of work. It’d be wrong to say that The Godfather is about a mafia, his family, his values, his game, his anti-society in middle of the society, his life, his rise, and his legacy. Even though it’s about that; but this book is about life. There is no aspect of life that this book didn’t touch upon and shake-up, and reform my thoughts about it. 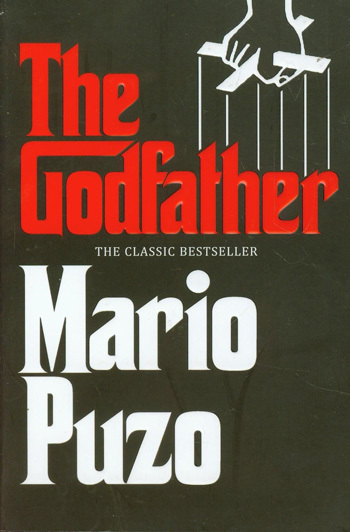 Mario Puzo, grasped the underlying structure of seemingly unstructured thing called life. And on the accurate psyche of humankind—he wrote this mind-blowing masterpiece. Why does anyone do what they do? Why do we love what we love and hate what we hate? What makes a society? What breaks a society? What is crime? And criminal? Who are they? Is it you or them? Us and them or them and us? The eye-opening narration won’t give you any answers, but will make you think with all your heart & brain. I won’t put The Godfather on the crime-fiction shelf; reality isn’t black and white. It’s a continues deception of endless shades of grey, that look black and white from wherever you stand. As a kid we read fiction of Good & Evil, and eventually grow-up to understand that both, good & evil, are two sides of the same thing. And then, the only literature that can touch one deeply is the one that doesn’t make a distinction. There is no good, there is no evil—only being. I’d rather put this book in the genre of psychology, humanology (is there something like that? ), economics, and ‘Understand the world’. I was, for some reason, expecting it to be a heavy-dull book about some mafia lord who wants to get something done. What it turned out to be was a beautiful story woven with amazing ideas and insights about life. You know that rare feeling when a book is in some other world, but it seems it’s talking about your life. That there are common threads that connect you and the story through unseen dimensions? That’s ‘The Godfather’. It was a privilege to read it. Published on May 12, 2014. Updated on May 12, 2014.